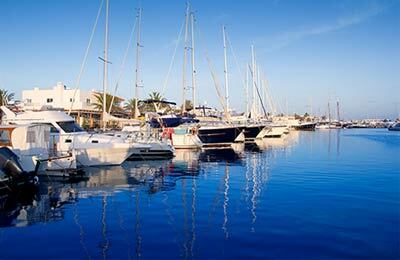 Minorca, or Menorca, is one of the popular Spanish Balearic islands and is a well-known tourist destination. There are two main ports on Minorca. Ciutadella is in the north-west of the island, and Mahon in the south-east of the island. 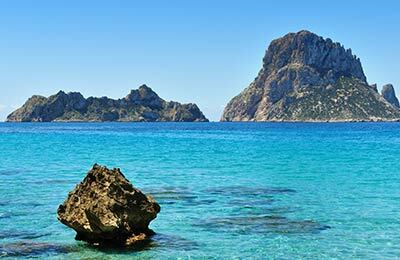 You can book ferries with Acciona Trasmediterranea and Balearia to mainland Spain, Majorca and between these ports on the island itself. So, book your ferry to and from Minorca simply and securely with AFerry. Minorca is one of Spain's stunning Balearic islands. However, Minorca is traditionally more laid back and slightly less touristic than Ibiza or or Mallorca. Here you'll find clear water bays surrounded by green pine trees and beaches. Minorca - also spelled Menorca - takes its name from the Latin word for `minor' because it is smaller than the neighbouring island of Mallorca. The north of the island is perfect for hiking and finding hidden beaches while the south has larger beaches and tourist resorts. However, Minorca is not just for beach and nature lovers. Mahon and Ciudadela offer many restuarants, bars and even clubs.